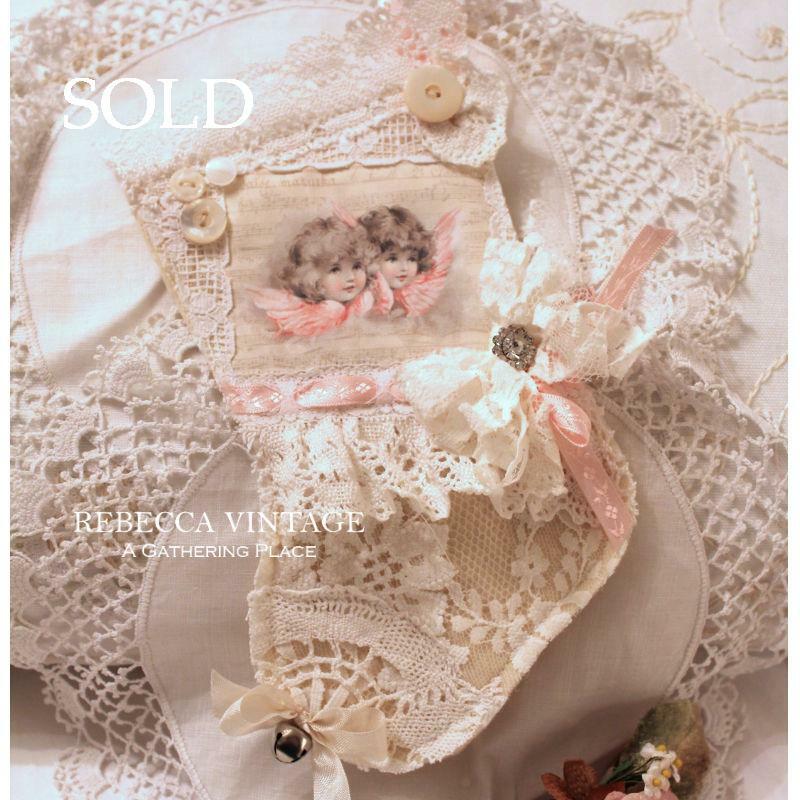 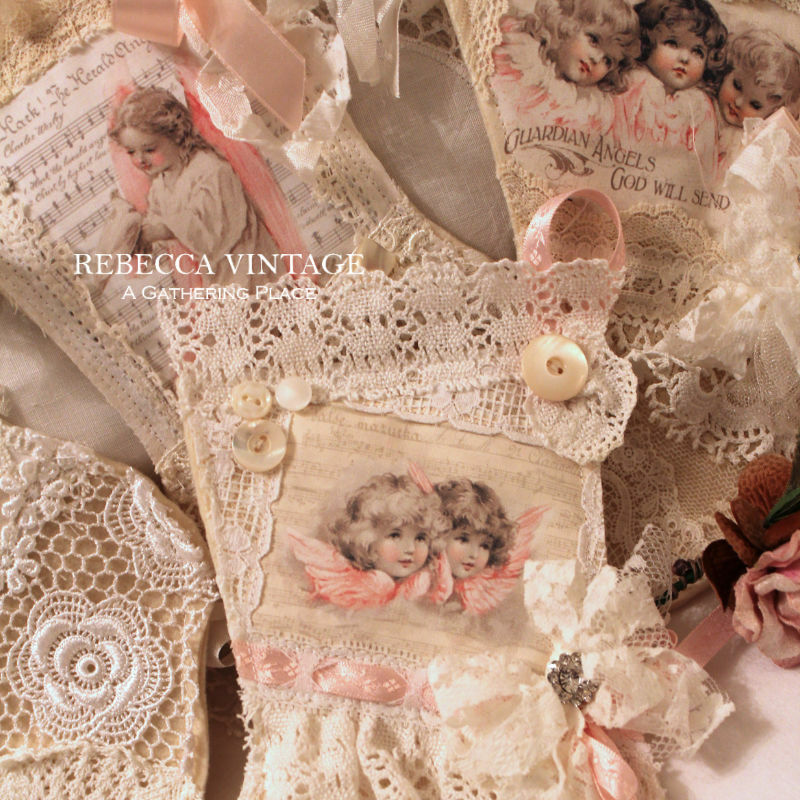 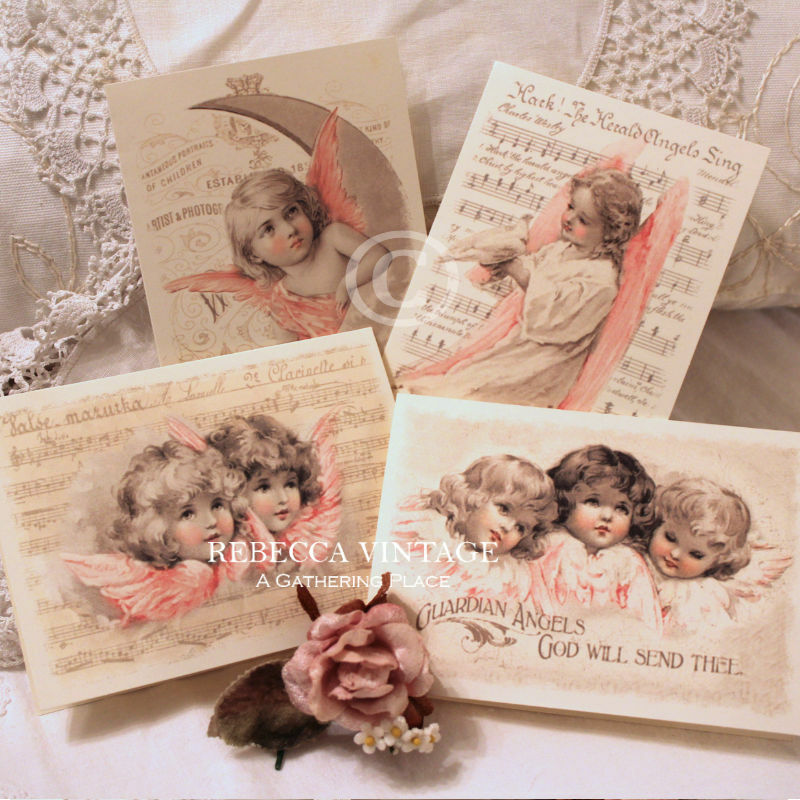 Fashioned in off-white felt and layered with a beautiful sampling of various vintage laces, this charming Christmas Stocking Hanger showcases a reproduced early 1900's pair of angels dressed in sepia and soft pink over old sheet music. Measures about 9" long not including the looped ribbon hanger. Best to combine this beauty with something else as two can ride almost as cheaply as one.